We were lucky enough to have a little family get together in Lake Louise a few weeks ago and went on a short hike, played cards, visited and just enjoyed some down time. Quite fun. Wapta Falls. Beautiful spot, with so much water pushing over the falls it's amazing. Unfortunately, it was very muddy as the spring thaw happened a little late here this year. 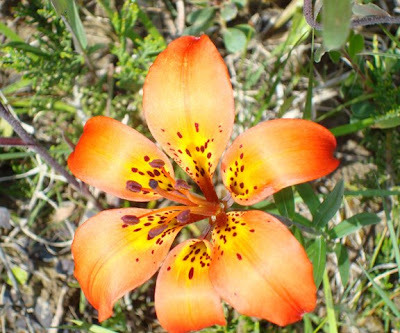 A little wild lily along the way. That is a great family picture! Me likey.